Nearly 8 years ago, one of then-newly-inaugurated US president Barack Obama’s earliest executive orders reversed the global gag rule, a rule banning non-governmental organizations (NGOs) that performed or actively promoted abortion from receiving federal aid. During the Obama administration, abortion rates dropped to an all-time low, with the Guttmacher Institute reporting that in 2011, “1.06 million abortions were performed, down 13 percent from 1.21 million in 2008.” Furthermore, in 2015 alone, due to the amount of federal aid the United States provided to NGOs for the purpose of family planning, 6 million prevented pregnancies resulted in an estimated 2.4 million avoided abortions. Now, one of President Trump’s first actions as the 45th president of the United States was to reinstate and expand this same rule, an order he signed while surrounded by a group that didn’t contain a single woman. Originally known as the Mexico City Policy, the global gag rule was first introduced at the 1984 United Nations International Conference on Population by the 40th President of the US, Ronald Reagan. In the decades since then, it has consistently been overturned under Democratic administrations then restored by Republican governments; on top of that, Trump was vocal about his pro-life position through the election, so in many ways this executive order comes as no surprise. It in itself is not shocking or revolutionary either; it’s a common practice for new presidents to issue unilateral directives that fulfill their electoral promises. So what’s the big deal? According to the Population Connection, “When it’s in effect, the Gag Rule creates a major dilemma for foreign aid-receiving organizations that work to empower women by providing comprehensive sexual and reproductive health education and services.” Whether they provide or merely mention abortion services, family planning organizations that provide so much more- STD testing, cancer screenings, contraceptives- are blacklisted from federal funding. Then, many related NGOs face a difficult predicament: do they compromise their empowerment and support of women to continue receiving much-needed US aid that enables them to operate, or do they choose instead to shut down services and attempt to make do without American financial support, perhaps going bankrupt? Some choose the latter. When family planning clinics run by NGOs shut down, many women in developing countries who are reliant on these clinics lose an essential facet of their healthcare, and the consequences of this cannot be ignored. The last time the gag rule was reinstated, by President Bush in 2001, a Stanford study saw a sharp rise in abortion rates for sub-Saharan African nations that had been highly dependent on foreign aid for family-planning, suggesting that a decrease in contraceptive supplies may have been responsible. More abortions occur without family planning services. Unwanted pregnancies are always going to happen when contraception is not readily available, and where there are unwanted pregnancies there will be abortions. When family planning services are inadequate or unavailable, these abortions will continue to occur; the difference is, women will risk much more to terminate their pregnancies. At least 2.1 million unsafe abortions are carried out annually; of these around 47,000 women will succumb to resulting complications that would be much less of a concern in legal, sterile and modern clinics. 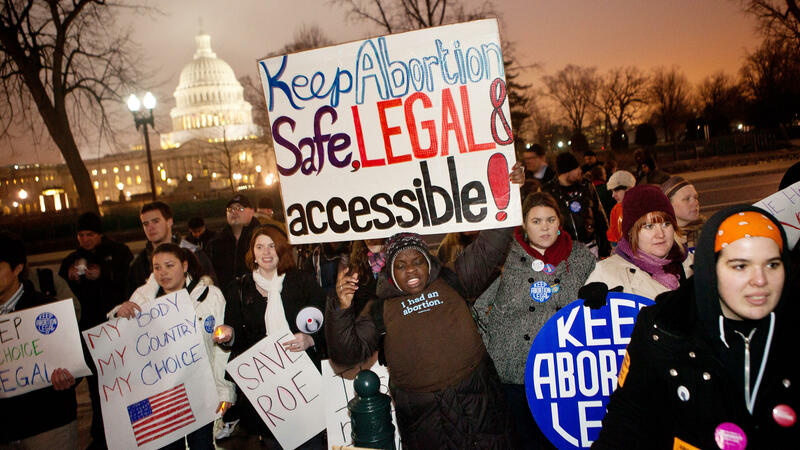 Unsafe abortion is a top five cause of maternal mortality according to the World Health Organization; while the gag rule is activated, this will only be aggravated. The plain truth is that the brunt of the gag rule’s burden will be shouldered by impoverished women and girls in developing countries, who are currently struggling against the Zika virus epidemic as well as HIV/AIDS. Access to contraceptives, HIV testing and other basic health services as part of family-planning is so essential to continuing this struggle, and when this access is cut off they will be the ones paying the price with their lives and the lives of their children. Not Trump or his voters. As if this wasn’t already bad enough, Trump’s version of the rule has been described as the global gag rule “on steroids” by Suzanne Ehlers, CEO of Population Action International. Slate.com reports that under previous administrations, “the global gag rule meant that foreign NGOs [had to] disavow any involvement with abortion in order to receive U.S. family planning funding. Trump’s version of the global gag rule expands the policy to all global health funding. According to Ehlers, the new rule means that rather than impacting $600 million in U.S. foreign aid, the global gag rule will affect $9.5 billion.” In the past there have been exemptions, but under Trump all health-related NGOs, whether they combat malaria or provide neonatal services, will lose funding unless they operate under the pretense that abortion neither exists nor is a reasonable option for unwanted pregnancies. This is especially problematic as related to HIV/AIDS programs, which frequently recommend abortion to HIV-positive women with unwanted pregnancies. With the loss of these HIV/AIDS programs, impoverished women will not be the only ones affected- whole HIV-afflicted communities containing old and young, men and women alike will feel the effect. As Trump himself would say, it’s gonna be yuge. Yugely destructive. Then again, would we expect any less from a president whose inauguration incited protests worldwide? I was diagnosed with HIV five years ago. I caught it after being in a hospital. Since I had been celibate and never done drugs. A nurse, now in prison, used contaminated equipment on purpose on patients, making many Ill. It was on international news. Doctors say I will die without treatment. But I have refused them. It’s been a difficult journey. I don’t trust drugs or medical field. It hasn’t yet turned into full blown AIDS, but, I know if this happens, I’m gone.